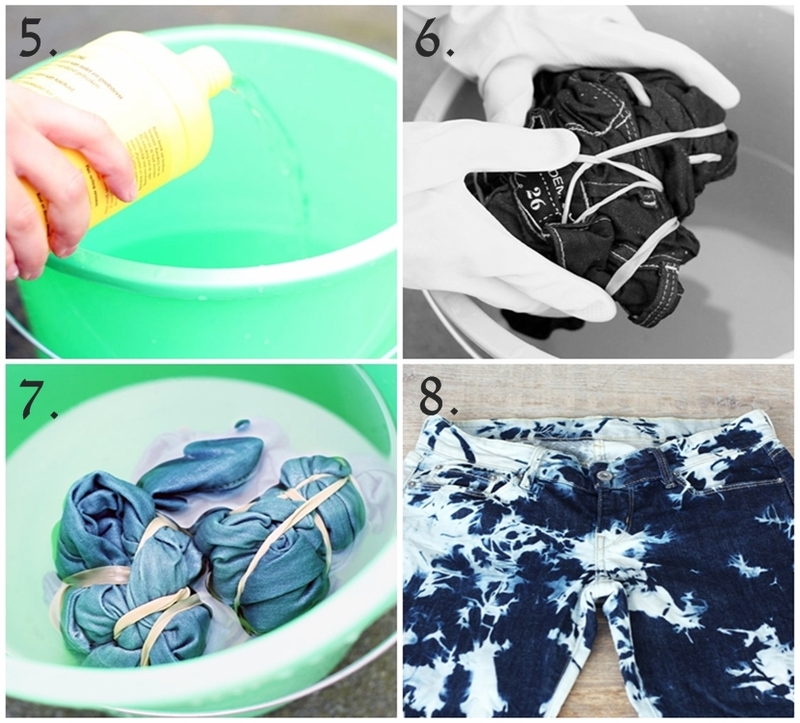 Some of you (specially Sofia) have asked me how to make this great and easy tie dye DIY jeans. Unfortunately, when I made mine, I didn't take any pictures because of a problem with my camera, so I took these pictures from the lovely Sabrina of After DRK. I made the same steps as she to make mine and bought a pair of cheap jeans at Primark (only 11€), just in case the experiment went wrong. You can my result here. 1. First of all, you have to fill your bucket with water and put yoyr jeans into. Make sure they are completely wet. 2. Wrench them, so the jeans are not soaking wet. 3. 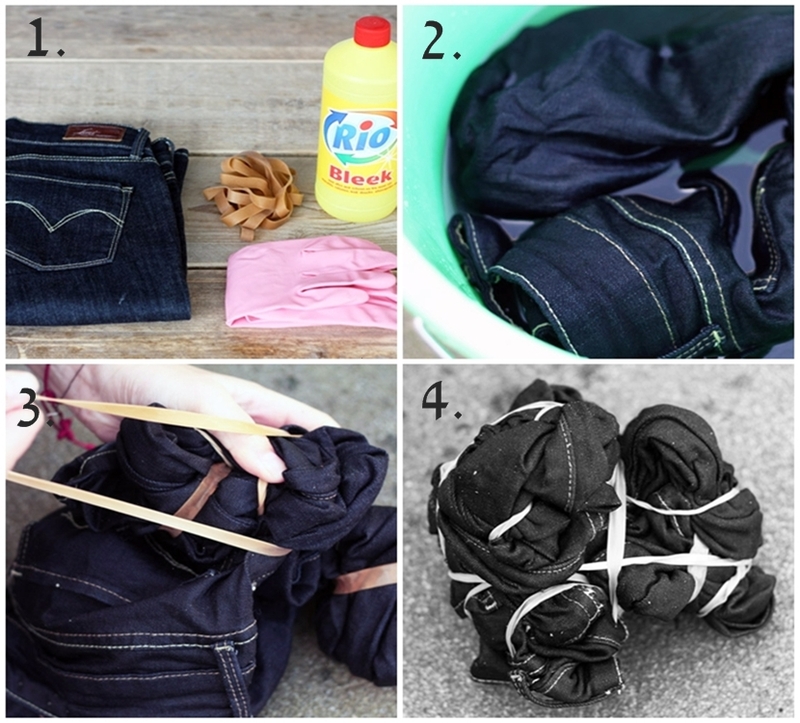 Tie as many and as much rubber bands as you like until the jeans are all bundled up. There is no right or wrong in this case. 4. Put bleach in the bucket, I filled up the bucket with water and used more than a half of the bottle of bleach. It had 2l of bleach, so I used 1,3l or so. 5. Put your gloves on and put the jeans on the bucket. One extra tip is to put something heavy on the jeans, for example an empty wine bottle. 6. Check out your jeans occasionally. Mine were in the bucket 10h more or less! 7. When your jeans are white enought, take them of and put in the washing machine. awesome, still wanna try this!! lovely, i will try this!! Love it! Great tutorial! Would love for u to check out my blog :) I def want to try this!! Amazing!! I love it ! Well done !! Love the effect! !